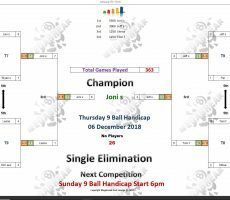 THURSDAY 9 BALL – 4th DECEMBER : JONI WINS. 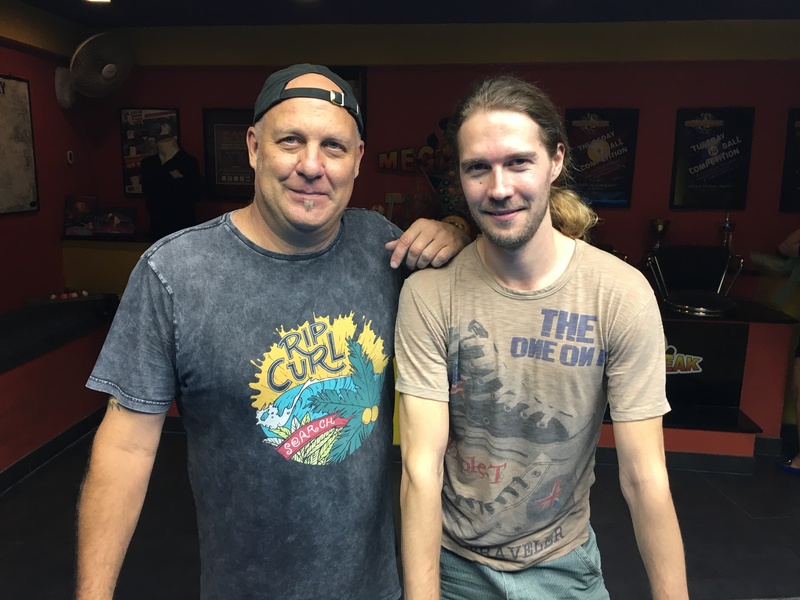 Finland’s Joni Savolainen made a winning return to action at Megabreak to win our 9 Ball Competition on Thursday night. 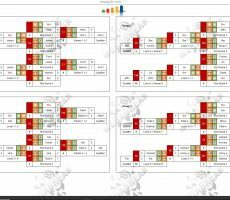 In his first tournament with us for ten months, he was in excellent form all night long to stay undefeated in six straight matches and claim the 1st Prize of 5500 baht. 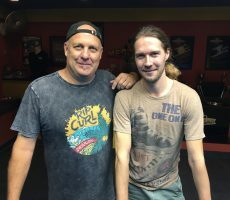 From a total entry of 26 players, he beat Jeff Schmitt from The USA in the final by 8 racks to 2 (race 8-4) to seal a very impressive performance, and his handicap now moves up to A+9 as a result. Jeff lost his first match of the evening, before raising his game to play well and reach the final, and pocketed 3000 baht in 2nd Place. 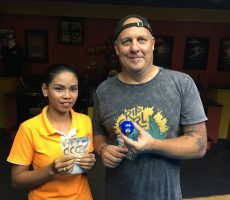 The other money winners were Tom Fossum from Norway and Joni’s girlfriend Leena Mäkinen, who each took home 1250 baht as losing semi-finalists. 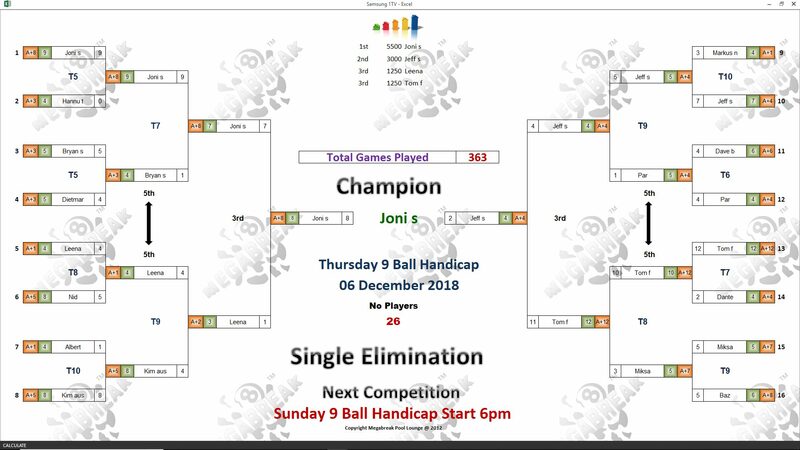 Champion : Joni (A+8) – 5500 baht. 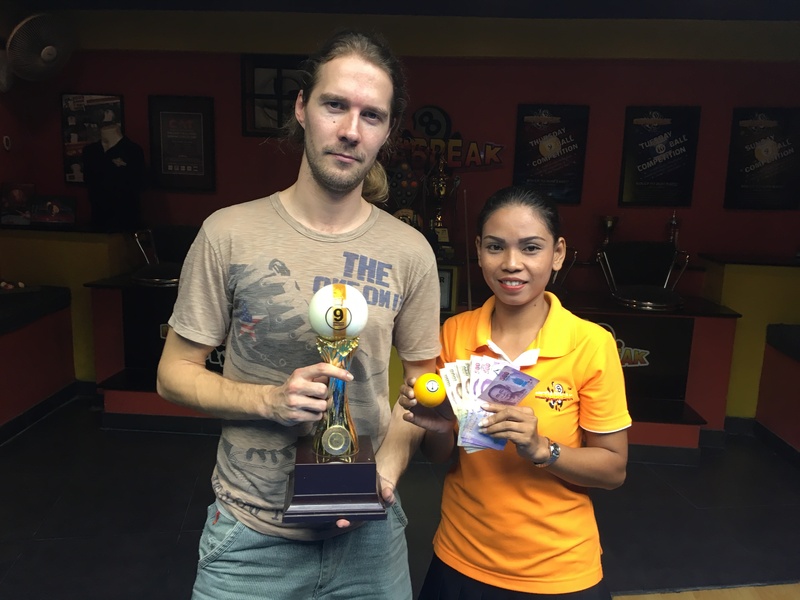 Runner-Up : Jeff (A+4) – 3000 baht. 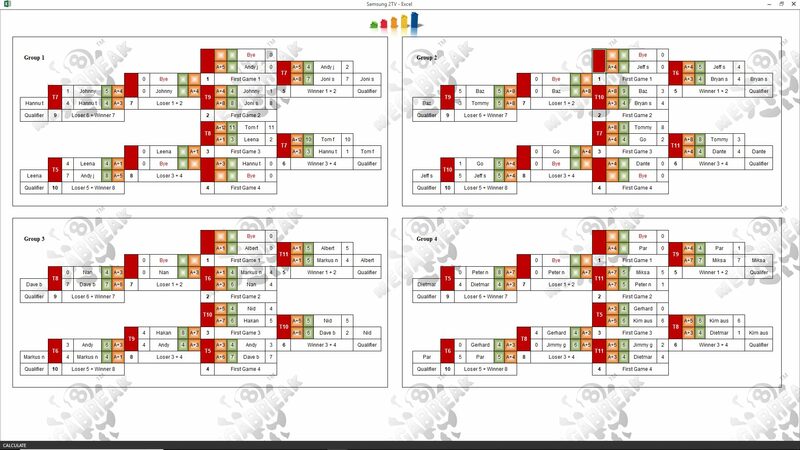 Semi-finals : Tom (A+12) and Leena (A+2) – 1250 baht each. The Player Auction Prize Pot totalled 22600 baht, and was won by Johnny Whitley. He bought our champion for just 800 baht, and they shared the 1st Payout of 8600. 1st : Johnny (Joni) – 8600 baht. 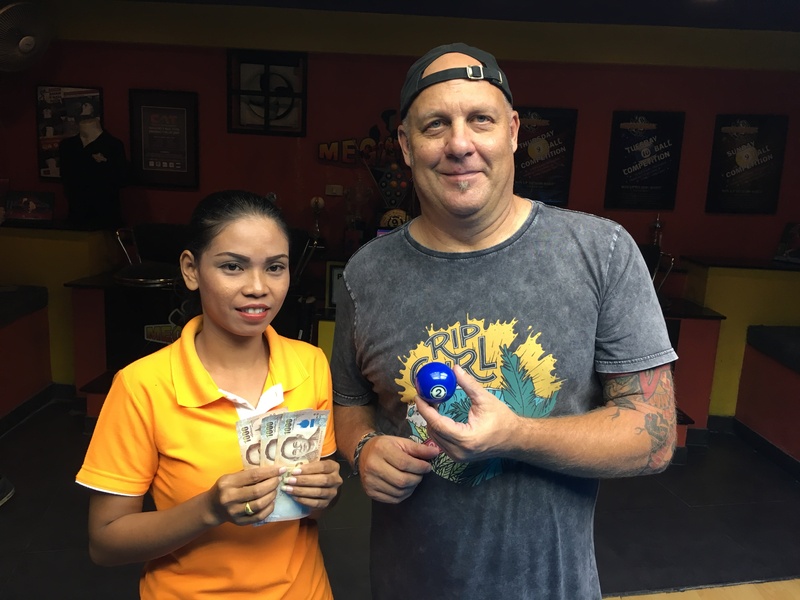 2nd : Gerhard (Jeff) – 6400 baht. Equal 3rd : Hannu (Tom) and Joni (Leena) – 3200 baht each.